You'll find Nibbles Lamb out in the fields, skipping about and munching on grass! 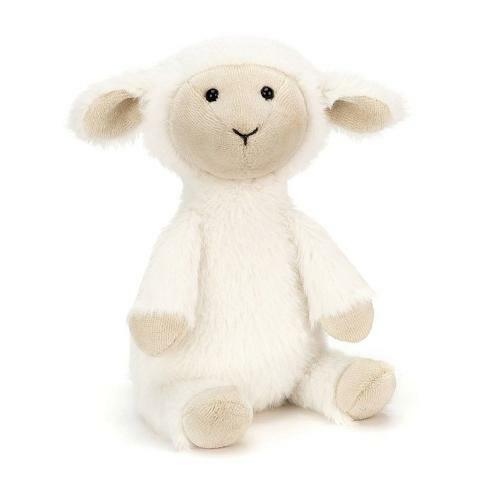 Creamy-soft in silky, milky fur, there's always a smile on this lamb's beigey face! Gentle hooves, flappy two-tone ears and the sweetest stitchy expression - we'd follow this lamb anywhere!